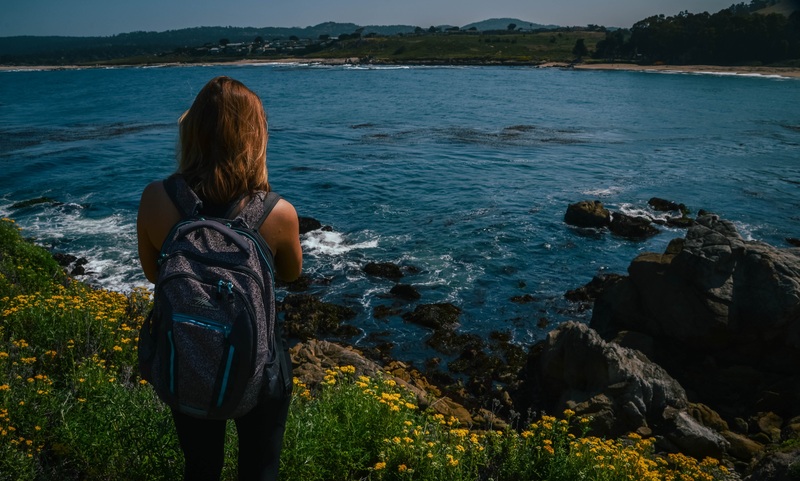 Beginning her days with the sights and sounds of whales, Belmont senior and biology (marine biology emphasis) and publishing double major Samantha Rodriguez is spending the summer at the deep sea bioluminescence lab at the Monterey Bay Aquarium Research Institute (MBARI) in Moss Landing, California. After arriving there 3 weeks ago, Rodriguez said she’s been immersed in a unique environment, with an underwater canyon, that provides easy access to the deep sea. This is what allows her commuting buddies — the whales — to greet her each morning. Thanks to the canyon’s existence, Rodriguez and her supervisor Dr. Steve Haddock have easy access to Chaetognaths, predatory marine worms that expel bioluminescent particles when threatened by prey, and are able to study their habits. Thanks to one of Haddock’s recent studies, we know that roughly 75 percent of deep sea organisms are bioluminescent, meaning they can produce light in places where there is none. Despite growing knowledge of these light-producing organisms, there is still so much to be learned. Rodriguez’s goal for the remainder of the summer is to grow that understanding by identifying the gene that allows the worms to produce light. Because these organisms don’t perform well in experiments if they have been frozen, researchers must conduct their work while they are still fresh. To ensure her skills are up to par, Rodriguez has been practicing her studies on frozen Chaetognath samples, preparing for the real thing. In just 3 weeks, she’s learned how to test the light output of a bioluminescent jellyfish, siphonophore and ctenophore, experiments that must be conducted in a dark room to avoid disturbing the bioluminescent samples. “While I’m sure spending hours in a dark room isn’t exactly what most people consider fun,” Rodriguez said, “I think it’s absolutely fascinating. MBARI has been a dream of mine for quite some time and not just because of the whales and amazing location. It’s a very competitive internship, and I wouldn’t be there if it weren’t for the three years I’ve spent at Belmont.” With two unique majors — marine biology and publishing — Rodriguez said her time on campus has taught her so much about so many things including the importance of a keen attention to detail, asking key questions and developing a curious mind.